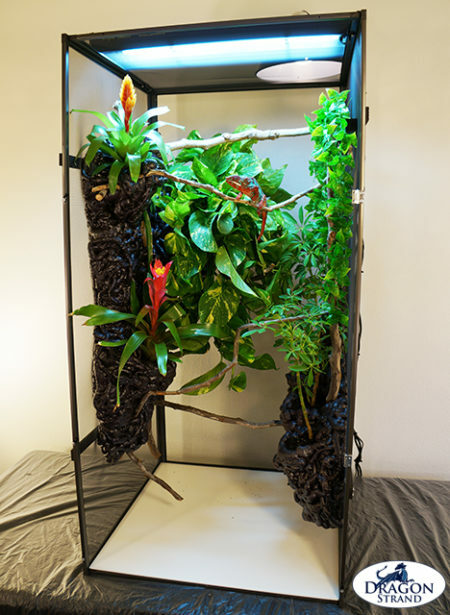 The patented Dragon Ledges are a retrofit kit that, for the first time, allow branches, vines, and potted plants to be installed in a screen cage with no stress to the screen. 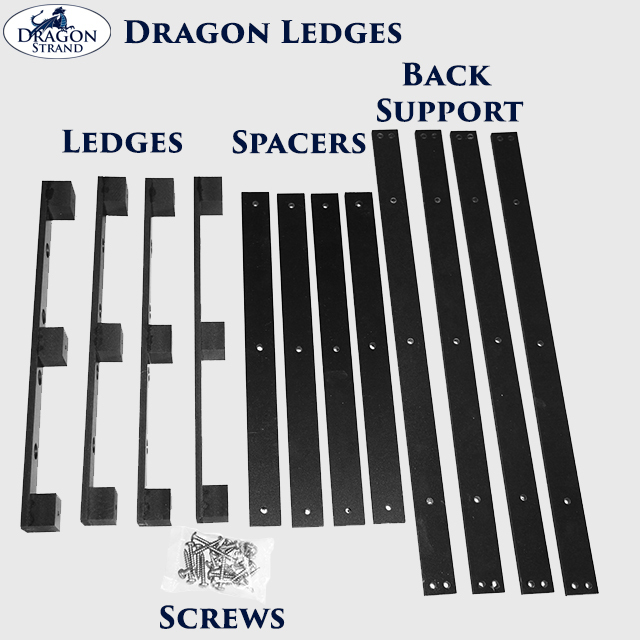 The Dragon Ledges may be installed at any point on the side panels and back panel of standard industry cages. 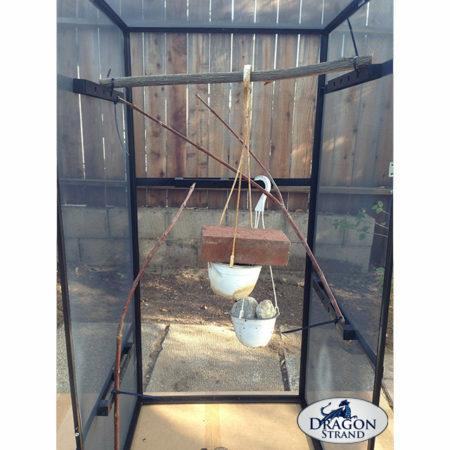 They transfer the load directly to the frame allowing even a couple of bricks to be hung from branches within the cage. 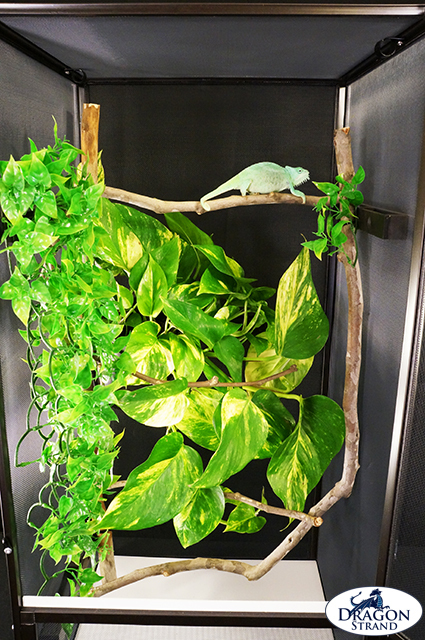 This is time for a new approach to creating cages for chameleons and other arboreal reptiles needing screen cages. We are now able to use substantial branches and potted trailing vines to put together the perfect environment for our reptilian friends. 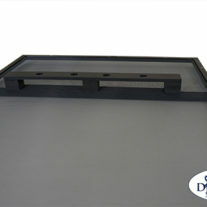 Dragon Strand offers Dragon Ledges in a number of sizes to fit many manufacturer’s cages. 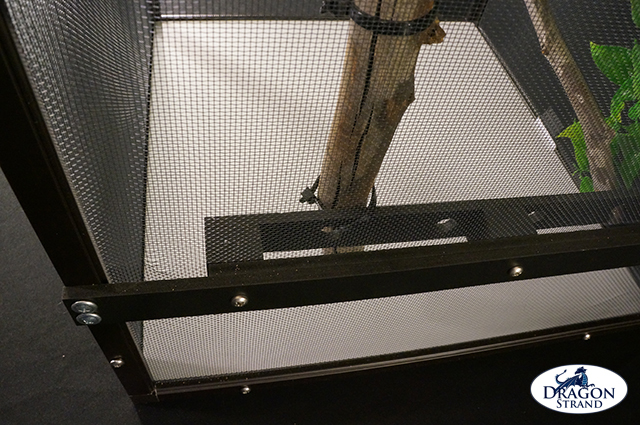 Please consult the chart below to ensure you get the one that is correct for your cage. Note: Installation of Dragon Ledges requires screwing back supports into the frame of your cage. 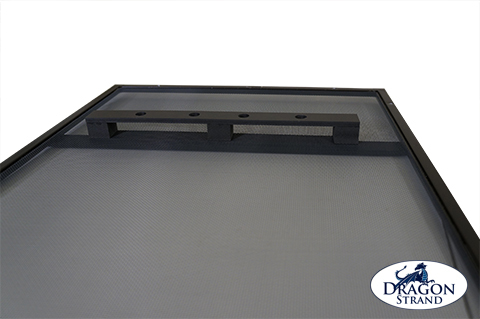 This action will void any cage warranty by any of the cage manufacturers and Dragon Strand cannot be held responsible for slips during installation that damage the cage. 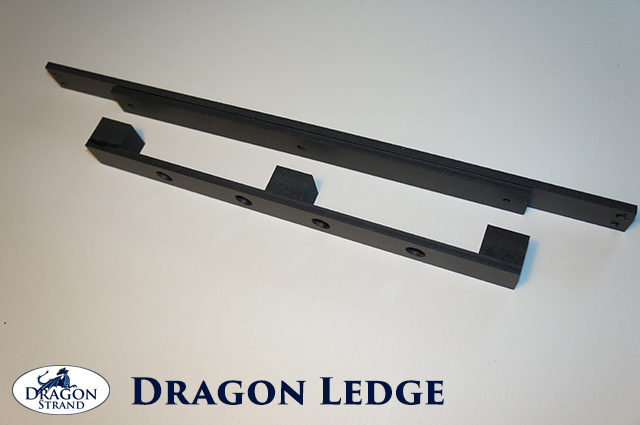 Dragon Ledges are offered as a retro-fit kit so they may be installed on screen cages you already own. 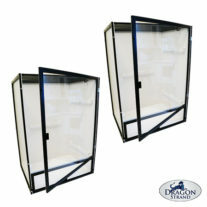 Sizes are available to fit screen cages from Dragon Strand, ZooMed ReptiBreeze, legacy LLL Reptile, and DIY Cages. 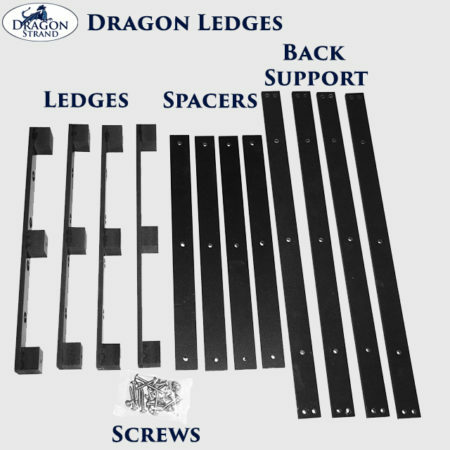 Please see the Dragon Ledges Selection page to select the right size kit for your particular cage.